Any size from 500mm to 1000mm in both width and drop. Electrically or manually operated We have a wide range of roof vent accessories including electronic opening and climate control. 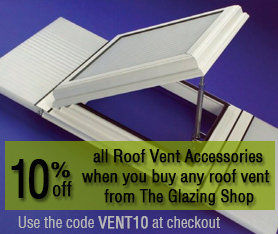 Spring money saver - we are currently offering 10% off the whole range of roof ventilation accessories when you buy your roof vent from The Glazing Shop!! * Please note 35mm roof vents come glazed, 25mm roof vents are unglazed. To view prices and to buy online, please select from the options below. 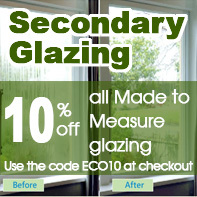 To view our information sheet on how to calculate your glazing sizes please click here. 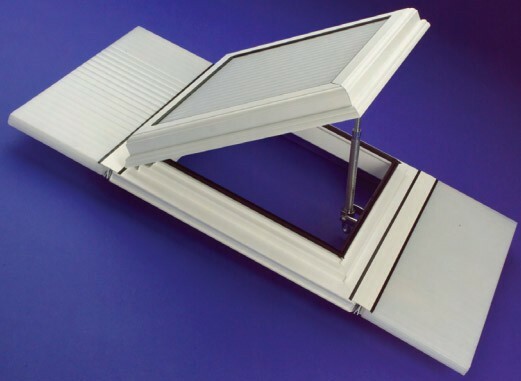 Conservatory roof vents are a cost effective way to help ventilate and cool your conservatory. 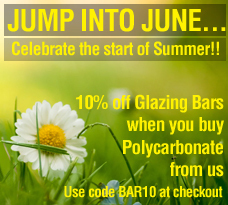 In the summer months particularly, heat can build up making conservatories uncomfortably hot. The introduction of a vent allows the rising hot air to escape through your roof rather than build up. 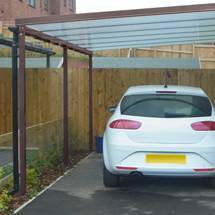 Our polycarbonate roof vents are made to order to your sizes. 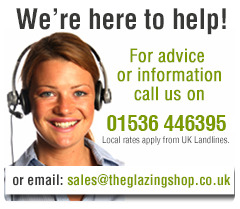 They are fixed between your glazing bars, as opposed to floating within the polycarbonate sheet which can lead to leaks. 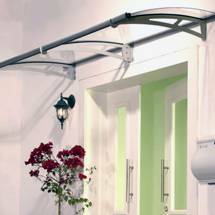 They have a foiled aluminium outer and PVC inner finish. 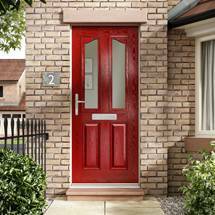 Made to order, they come in any size between 500mm and 1000mm in both the width and the drop. 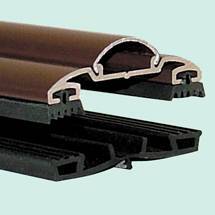 Suitable for 25mm or 35mm polycarbonate glazing, the roof windows are available in a variety of colours. The roof vents can be electrically or manually operated. For electronically operated roof vents, please add the necessary extras from our roof vent accessories section.